Our Annual Easter Greek Savory Pie Sale Is Going on Now! Order savory Greek pies for the Easter season. We sell them frozen, and they’ll keep for months. You can have them on hand during the summer when you want an easily prepared, scrumptious, meatless meal, or a perfect accompaniment to meat, fish, or poultry. Spinach Pies (spanakopita) 12-piece pie @ $25 ea. Cheese Pies (tiropita) 12-piece pie @ $25 ea. Our famous, Greco/New Mexican, Green Chile Cheese Pies (12-piece pie) $25 ea. Click here to open a copy of our order form. 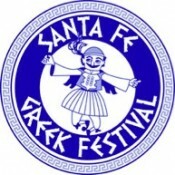 Print out the form, fill it in, and mail the completed form, with your check, to Saint Elias Greek Orthodox Church, 46 Calle Electra, Santa Fe, NM 87508. Deadline for orders is Monday, April 1, 2019. Please come by the church to pick up your order: Sunday, April 7, Sunday April 14, OR Sunday, April 21, between 11:00 a.m. and 1:30 p.m.
Linda (505) 930-0969 | karlsonlinda@gmail.com. 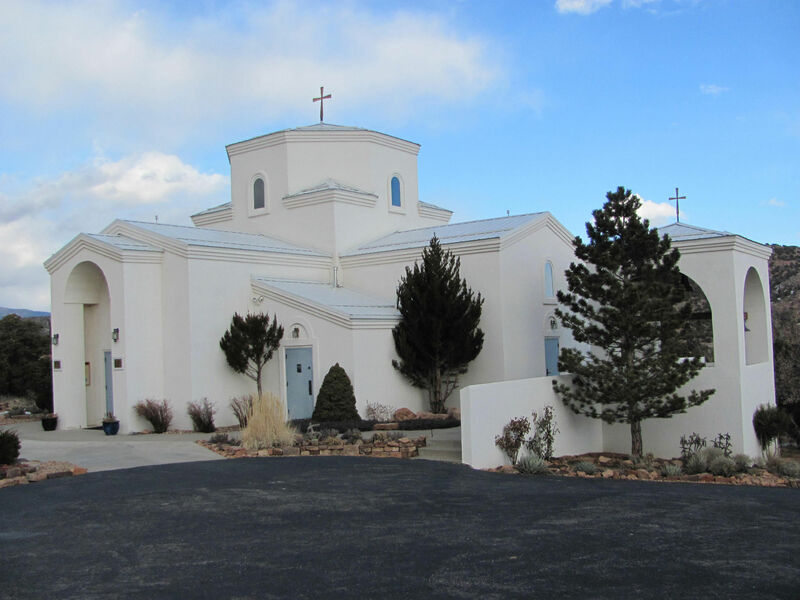 Saint Elias the Prophet Greek Orthodox Church is located in Santa Fe, New Mexico. Some visitors say that its traditional Byzantine church architecture combined with its location provides a feeling of being in the Christian Greece of old. Our Byzantine Iconography, hand carved traditional seating, and ancient Byzantine Chant all add to a spiritual Christian worship that dates back to the 1st Christian communities. We invite you to come and see. We’ve revised our order form, so that you can order boxes of all cookies. Kourabiedes, Paximadia, and Koulourakia, can be ordered separately, or as an all-cookie Assortment. All of the Baklava items, including The Classic Assortment with cookies and Baklava, are available as before. Enjoy delicious homemade Greek Pastries with your friends, family and colleagues during this holiday season! Delightful boxes of Classic Assortment pastries and Baklava are available. Half and full pans of baklava are also available for office holiday parties and family gatherings. To order, click here to download the order form, fill in the form, and send it with your check to the address shown at the bottom of the form. Deadline for orders is November 28th, 2017. Fr. Dimitri, the Parish Council, and all the members of the parish of St. Elias the Prophet Greek Orthodox Church wish you and your family a joyous and blessed holiday season! If you have questions, please contact Niki Constantaras at (505) 890-2939 or (505) 930-1940. Wallet- and keyring-size Albertson’s Community Partners cards are available on the table in the back of the church. When you shop at Albertson’s, give the checker your card to scan, and the church will get money back for every dollar you spend.